I am making progress on the New York Beauty quilt. I have been thinking about fan blocks lately. 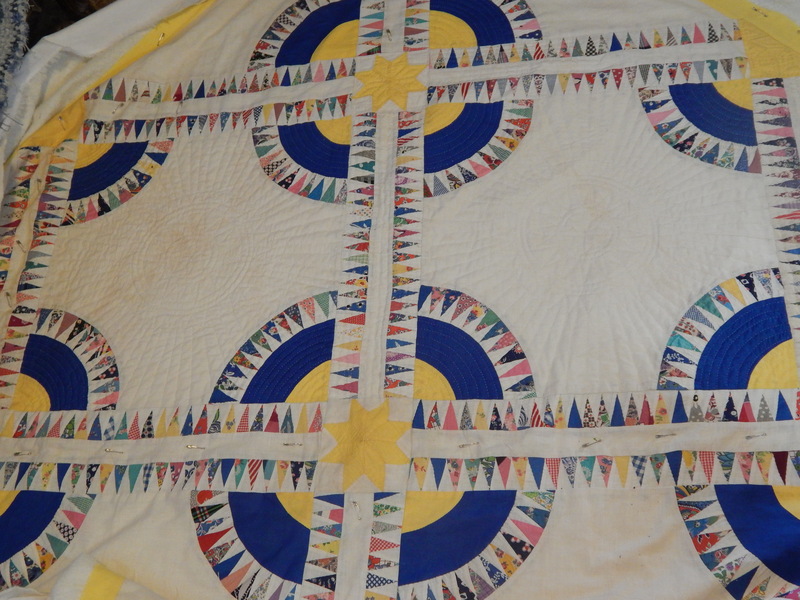 One of the Facebook pages I follow (quilts vintage and antique) has been posting fan block quilts and if you look at this quilt each of these blocks has what is essentially a fan block in the corner. 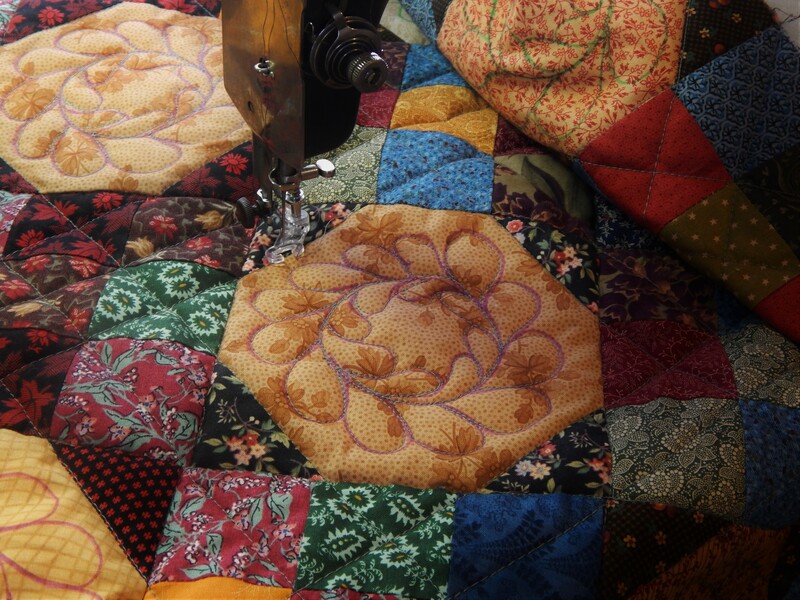 Remember these quilts and tops I made with vintage fan blocks and new fabrics. I also have the purple fabric that I think really sets off the blocks. 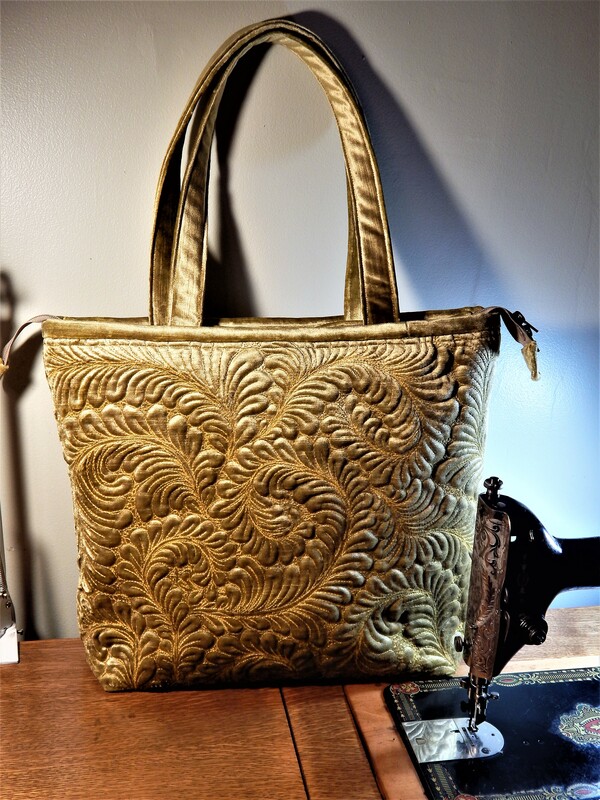 I am thinking of how I might set them…..
Hand quilting gives me a lot of time to think…..and it will be a long time before I get to these…but it is fun to think about what might be next. 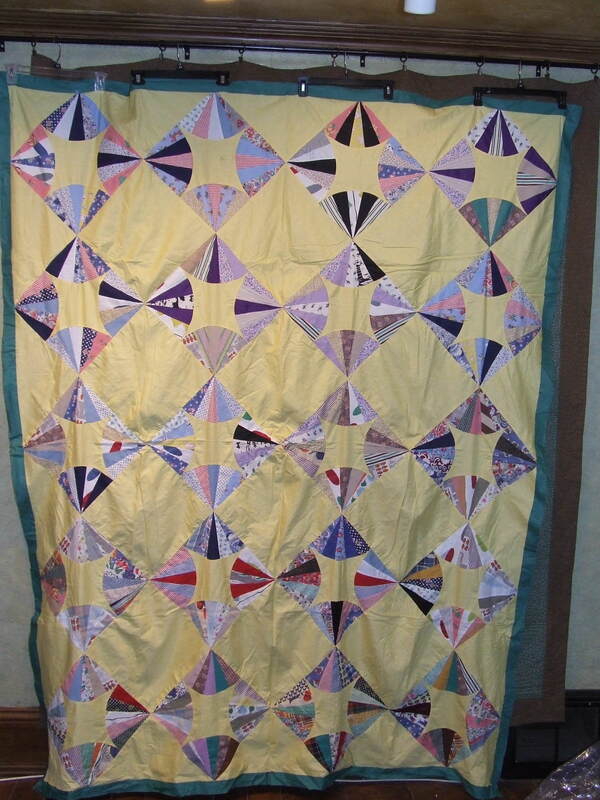 This entry was posted in Quilts and tagged fan blocks, hand quilting, New York Beauty, Quilting, vintage quilt blocks, vintage quilt top. Like what you are doing, some beautiful old quilt tops. But have a quick questions – are you drawing the patterns (and/or the modifications/adjustments you made when you quilted it? Sometimes I see an old quilt or pattern and think that it would be fun to try to reproduce it. I’ll leave it up to you and buy the pattern later. Take care and keep on stitchin. From northern Iowa. . . .
Maybe ask Pepper Cory about that. I think she does tracings of old quilt patterns, and I’m sure she would know a way to make those into something marketable. Quilt’s looking good! 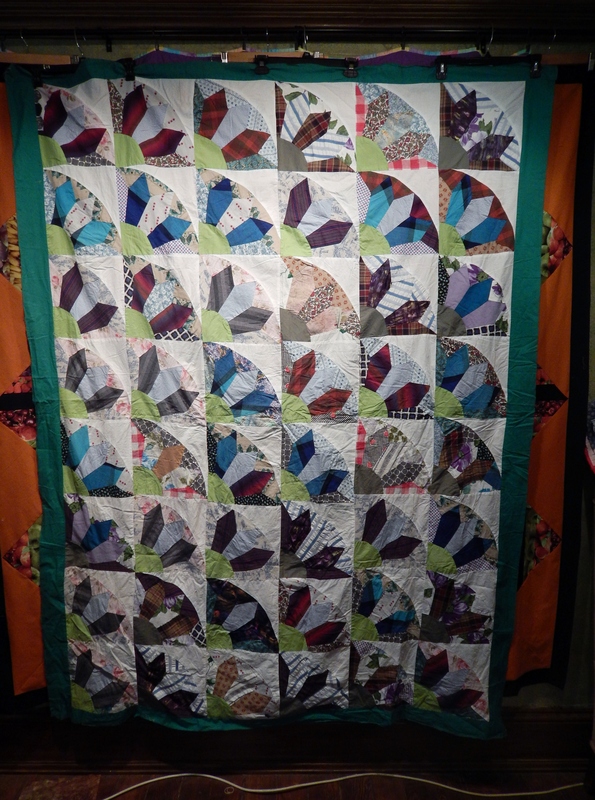 Thanks….it is always so fun to see the quilt develop as the quilting goes in…..as I know you experience as well with your beautiful quilts…it is So true about thinking….I think a lot of it is unconscious ….then you wonder later where that idea came from …..
It’s looking good! Love the first and last quilts in photos. Love your fan experiments, especially the second one. Maybe we’ll see that one day. Wow! 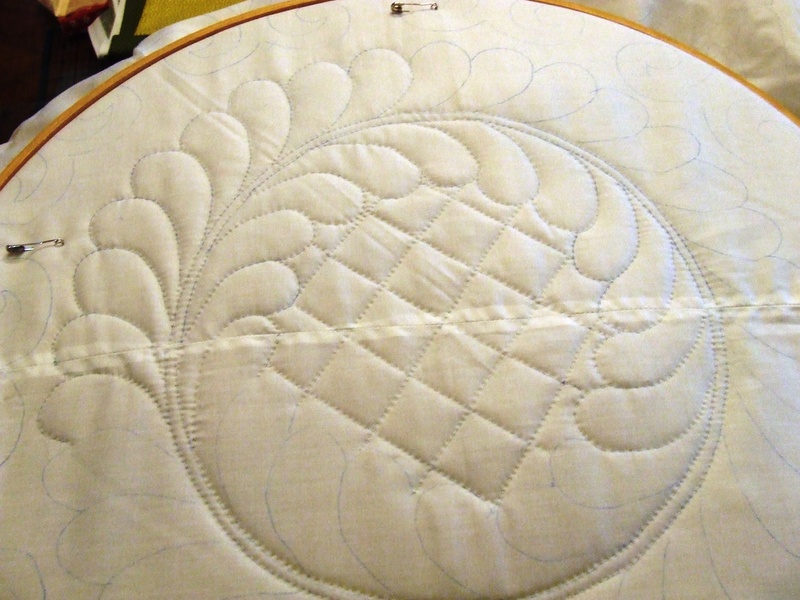 How do you make so much progress on your hand quilting, that would take me at least a month to cover (or more). How do you organize your quilting time? Love the pattern you worked out and I enjoyed reading about your process in picking a pattern. thanks for all the info. and inspiration! 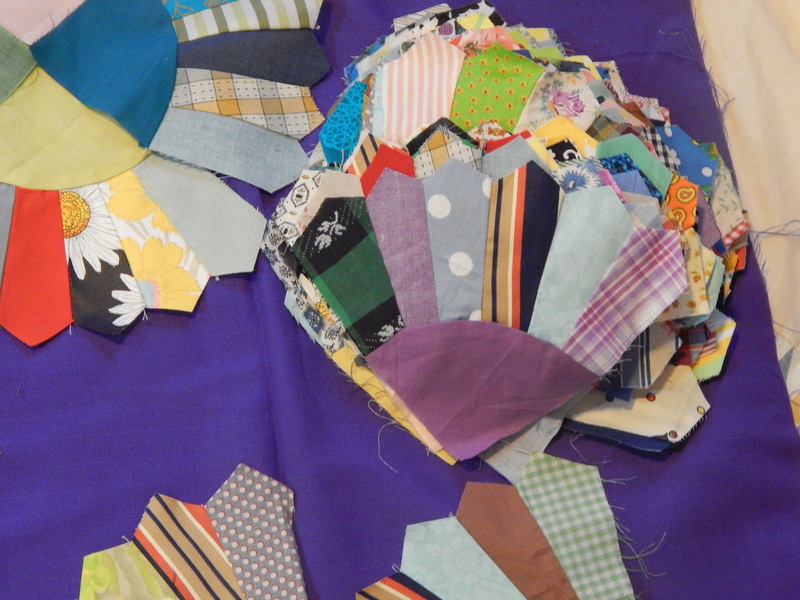 I think I could be a lot more organized but I always have the next quilt or two in progress at the same time I am working on a few others….anyway I just quilt a lot…..usually 6 to midnight…then weekends maybe more if the weather isn’t good for gardening. 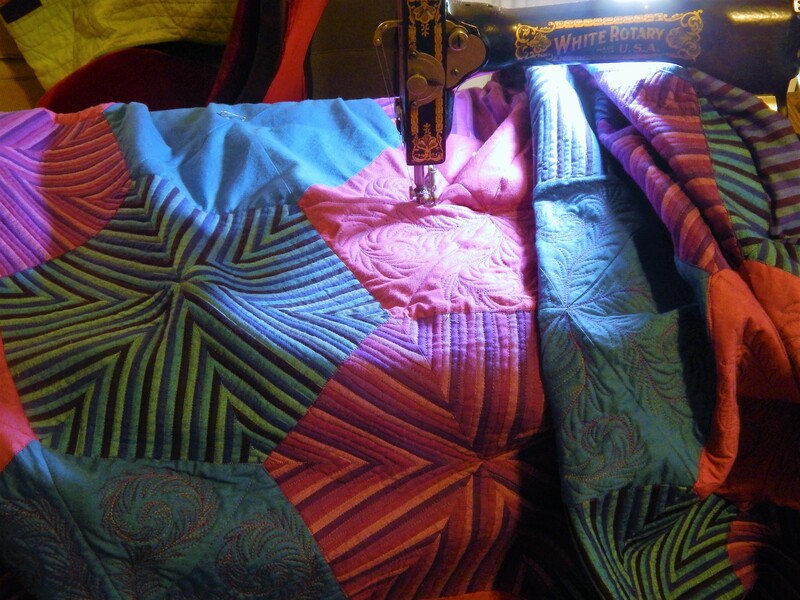 All the quilting time has improved my speed….the first quilt I made took months!…the second one even more…..but as time went on I got faster…..